You'll be £5.00 closer to your next £10.00 credit when you purchase The Old Front Line. What's this? July 1st 1916 is a date that remains embedded in the British folk memory. It was the first day of the Battle of the Somme, the day on which British and Empire troops suffered nearly 60,000 casualties, a third of them fatal. In this evocative classic memoir John Masefield, the future Poet Laureate, describes the battleground over which the armies were to fight. He had spent months at the front and was familiar with the men, the trenches that they inhabited and the conditions that they endured. 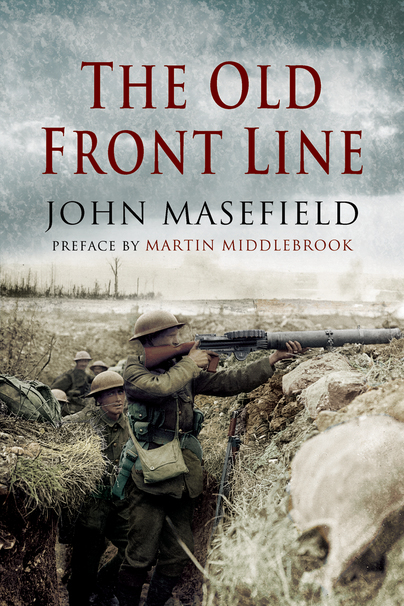 'The Old Front Line' was written shortly after the battle, and this elegant account will still move the modern reader as well as providing a valuable guide for the many 21st century visitors to the battlefield. This edition has a powerful new Introduction by Martin Middlebrook.